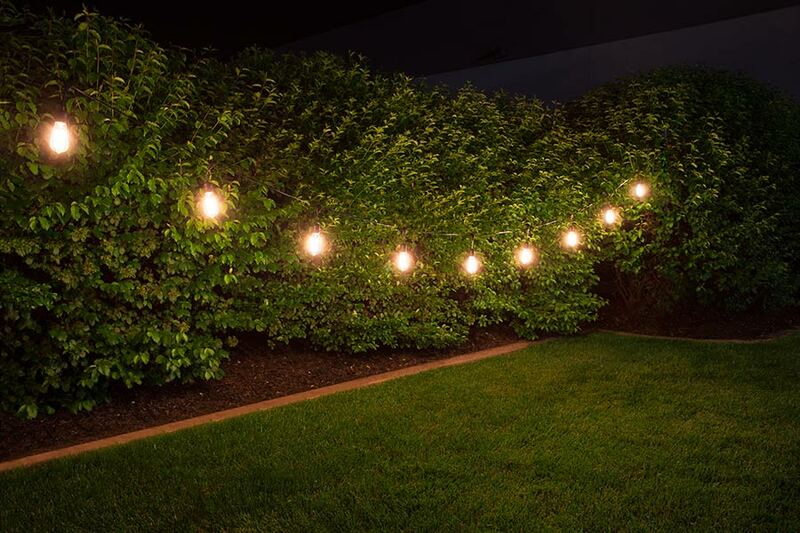 These 33' LED string lights add an upscale look to any patio or porch and come with your choice of elegant LED bulbs. 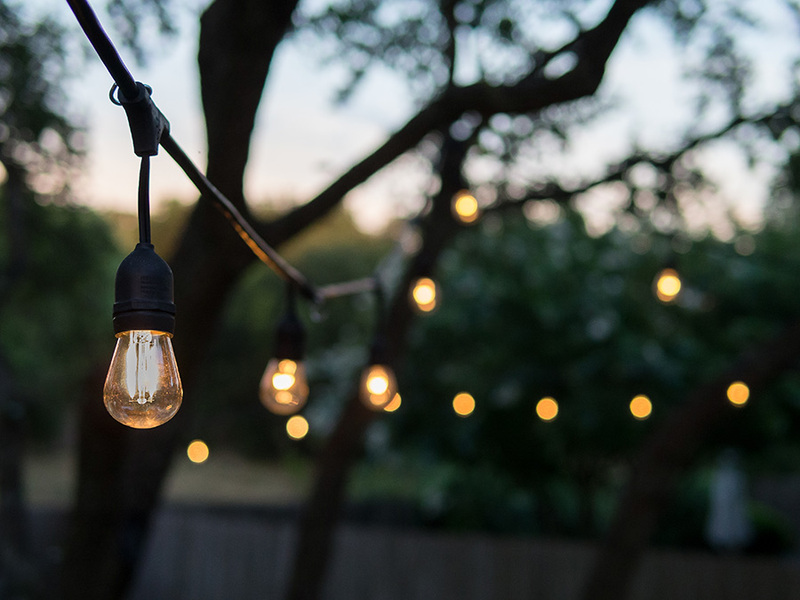 The decorative patio lights can also be used for gazebo lighting, cafe lighting, decorative dock lights, bistro lighting, wedding lights, and party lights. The included S14 LED filament bulbs emit up to 1,800 lumens illumination. 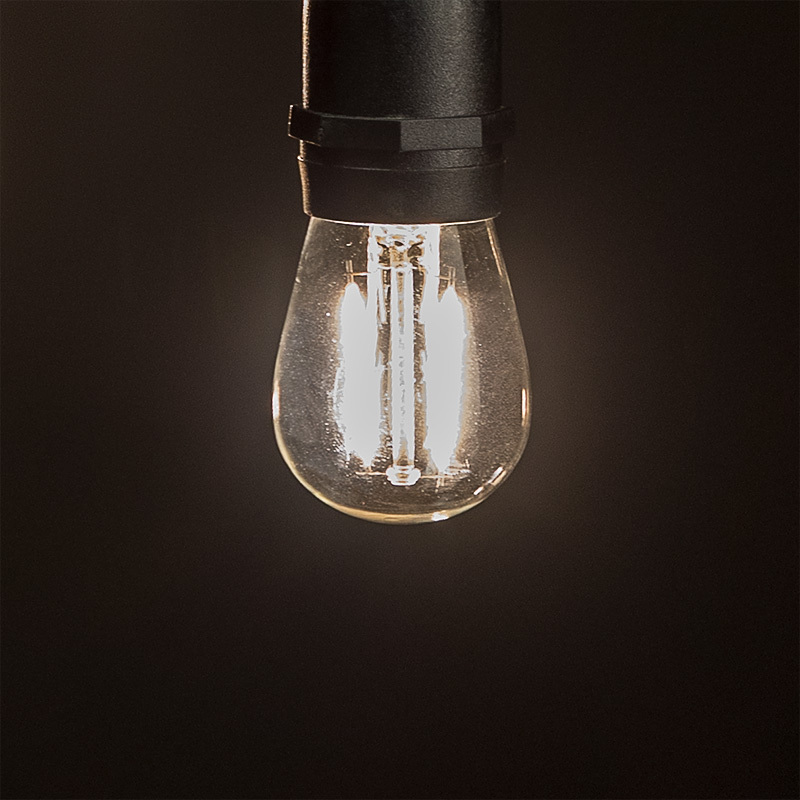 These bulbs last 25 times longer than incandescent bulbs and consume just 2 watts of power each. 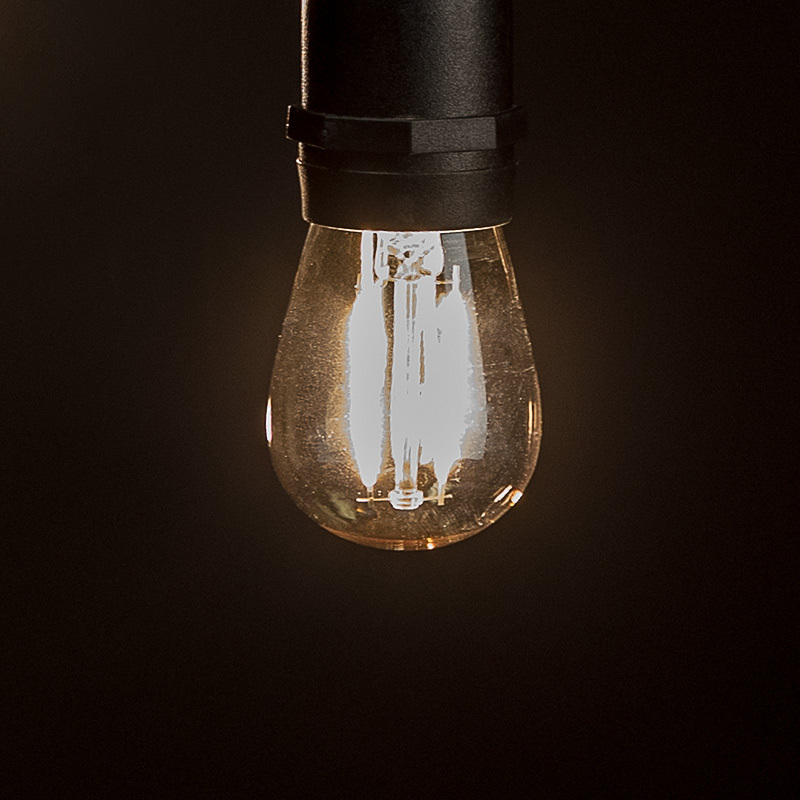 Comparable incandescent bulbs would consume 15 watts each. 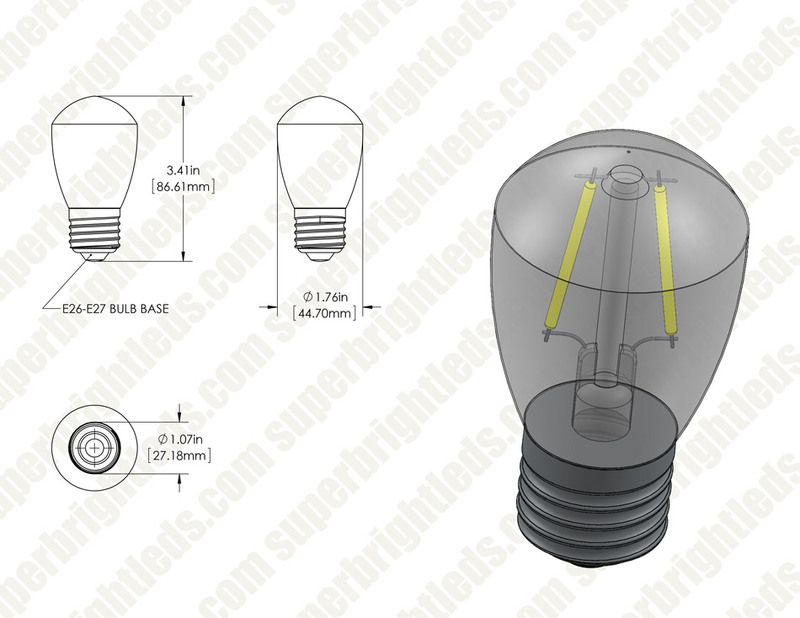 The LED bulbs emit warm white or ultra warm white light that is less visible to bugs. 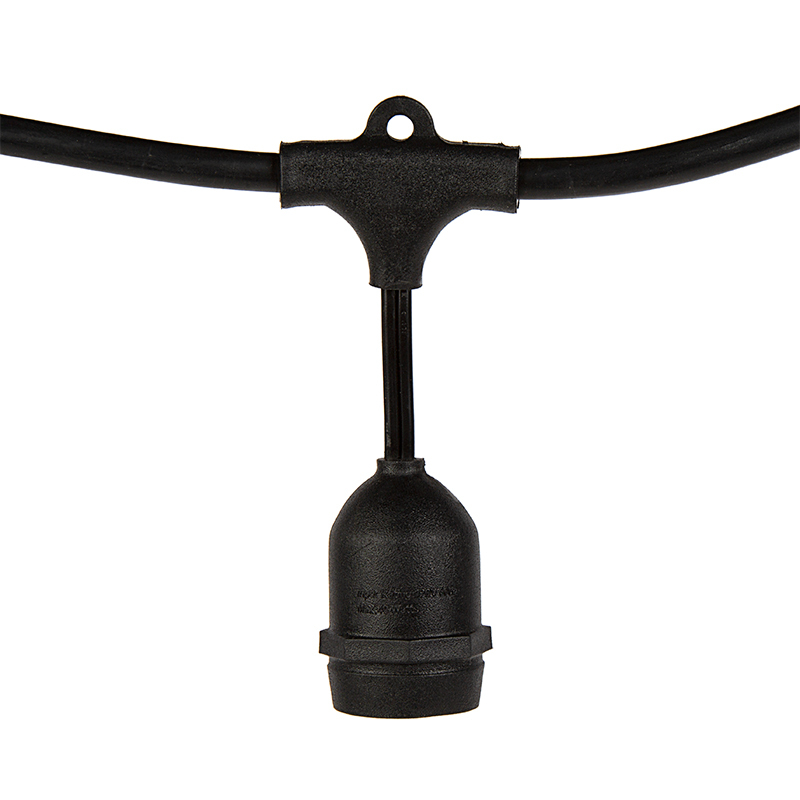 Total length (33') consists of 2' wire lead, 2' between each bulb, and 1' end connector. 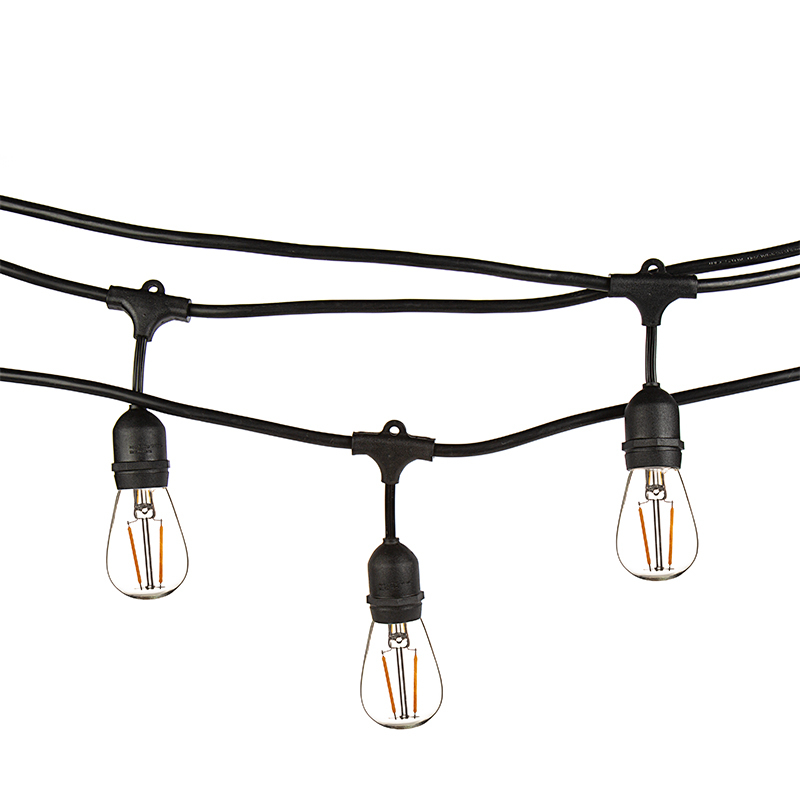 The weather-resistant, commercial-grade string lights are UL Listed, linkable up to 1440W max, and have 120 VAC operation. 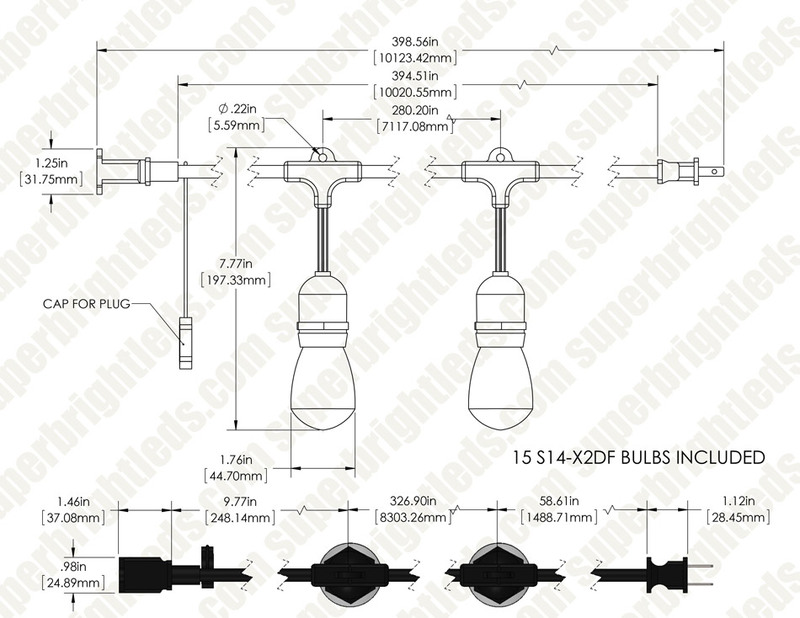 Sockets are designed for bulbs with E26/E27 medium screw bases. Guide wire can be threaded through each socket loop to reduce strain on power wire. Also available with in-line sockets. 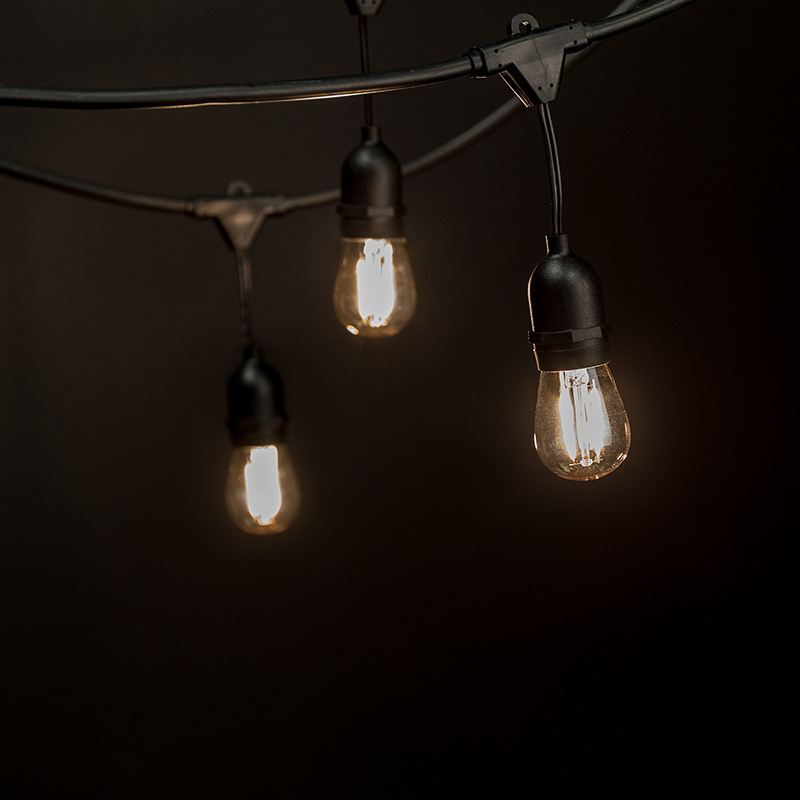 If bulbs do not illuminate, unplug the light strand and pull metal contact forward inside sockets to make better contact with bulb bases. 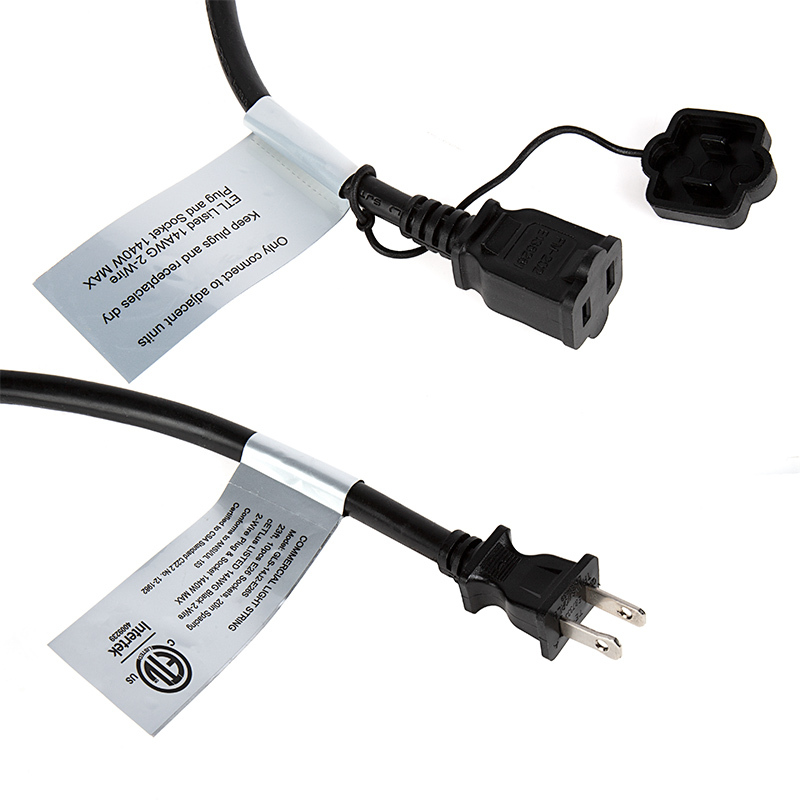 Failure to unplug the strand before touching inside socket will result in a shock. This is a really well-made product. Wiring is molded to help with water-proofing and involves a substantial amount of insulating plastic on the lines, plug, and sockets. It survived its first big rain just fine. The bulbs actually create a water seal in the socket when you screw them in. All the lights and sockets worked and there is a handy outlet port on the other end from the plug so you can daisy-chain them. My only complaint is that the bulbs are rather bright for our needs, but that's just a failure of our expectations, not the product. It is bright enough to provide real area illumination for walking. We were looking of more of an accent lighting system so I partially unscrewed every other bulb and I might try to find some bulbs that are a bit dimmer. Very happy with this product and I would buy it again.